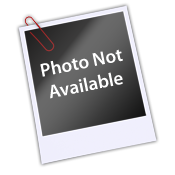 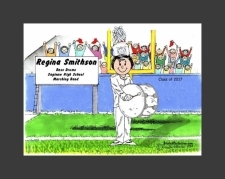 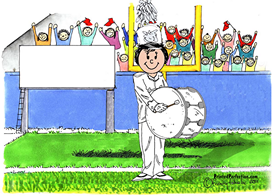 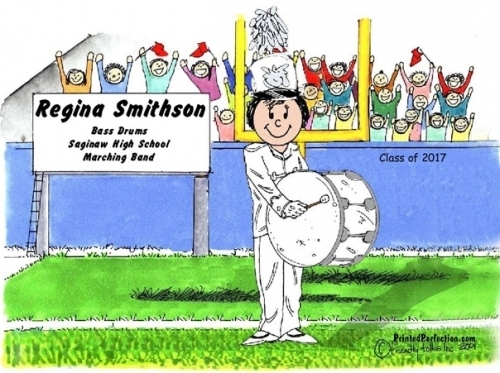 Personalized Friendly Folks "Stick Figure" Cartoon Scene of Bass Drum player. 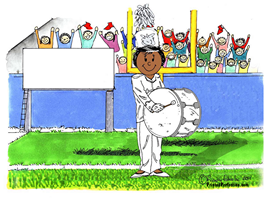 Add any text or information that you would like to make this scene extra special, and add to nearly any product. 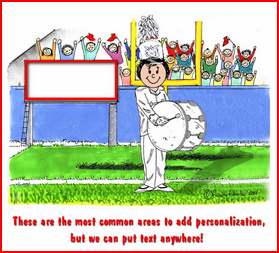 Uniform is white to allow for custom coloring, though blue is available.